​Orna joined the San Ramon Valley PT team in 2015. She graduated with her doctorate in physical therapy from De Moines University and obtained her undergraduate at Tel Aviv University, Israel. Orna is an Ergonomic consultant with experience in office workers environments and the material handler industry. She is also a yoga teacher and a Certified strength and conditioning specialist. 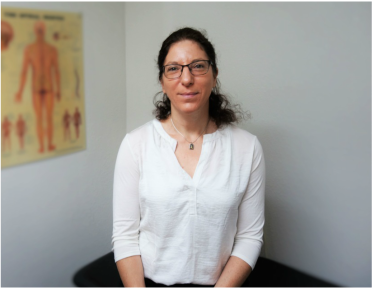 Orna brings a unique mix to her practice of physical therapy, combining elements from the different disciplines when treating patients. Outside of work, Orna enjoys hiking, wind-surfing, scuba-diving and baking.